Who will be the new gods? The God of Strife is dead, destroyed in his attack on Tantras, and Midnight and her allies have recovered the first Tablet of Fate--one of a pair of artifacts that will return the gods to their former glory and save the Realms from the fallen deities' wrath. 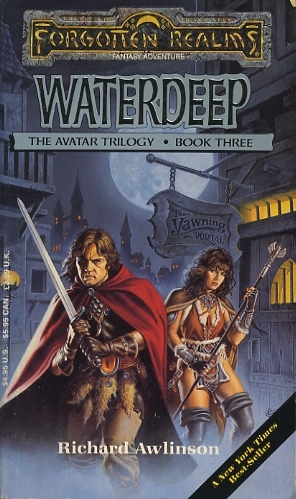 To complete their quest, though, the heroes must travel across the world to Waterdeep, the City of Splendors, and even pass into the Realm of the Dead. But both Cyric and Myrkul, God of Death, want the Tablets of Fate for their own dark ends, and they will stop at nothing to capture Midnight--even if it means the destruction of the Realms.